Until then, I&apos;m slowly starting to infuse the color trio into our wardrobes. (Okay, fine, I&apos;m slowing starting to infuse those colors into my wardrobe.) This #MDW, I plan on debuting a few new Americana-inspired pieces. After all, Memorial Day means more than a 72-hour weekend. It&apos;s about taking the time and making the effort to remember those who have lost their lives to protect ours. It&apos;s about celebrating life, liberty, and the ability to pursue greatness, thanks, in large part, to the heroic men and women who sacrificed their own American dreams. Don&apos;t get me wrong—it&apos;s not like I think my canvas Tom&apos;s are making a big difference in the world. But I&apos;d like to think that they&apos;re, at least, making a statement: I&apos;m proud and I&apos;m grateful. On a lighter note, I&apos;ll definitely be wearing some variation of blue and white at this weekend&apos;s backyard shindig. It&apos;s a foolproof summer combo—comfortable, classic, casual, and a little bit nautical too. White jeans (and shorts) are a seasonal staple—and, if you haven&apos;t already whipped them out from the back of your closet, now is the time to get reacquainted. A pop of red (maybe?) and I&apos;ll be good to go for some cookin&apos;, barbecuing, and, best of all, eating! Simple, stylish, and subtle. I&apos;ll save the full-fledged flag outfit for Independence Day... Just you wait. 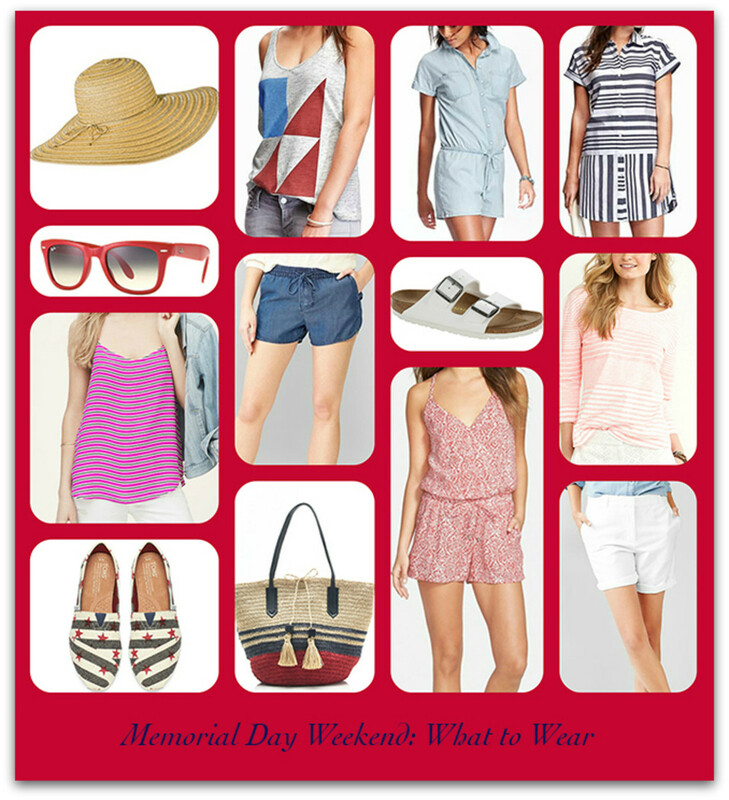 Here are a few awesome pieces you can wear with pride Memorial Day weekend through the Fourth of July—and beyond!